Guest blogger Michelle Lynne Goodfellow, who has written about her breast cancer and her love of aikido, is now in search of a better night’s sleep. I rarely have trouble falling asleep, except maybe if I’ve stayed up too late and get restless leg syndrome. Normally I fall asleep as soon as my head hits the pillow… or, in the days when I used to watch videos on my smartphone before bed, I would unintentionally fall asleep while watching something. My problem is that most nights I would wake up in the middle of the night and be unable to get back to sleep. Once I got serious about addressing my insomnia problem, I knew I had to make changes to my behaviour when I did wake up in the middle of the night. (It was my longstanding habit to pick up my phone and start surfing the Internet, which usually meant I didn’t get back to sleep again). So I made a point of not picking up my phone, but instead tried to keep a notebook and pen beside my bed to write down all the stray thoughts that were keeping me awake. Since I’ve settled on my most recent insomnia solution (which I’ll write about next week), if I’m awake more than 15 minutes, I get up out of bed and leave my bedroom to do quiet activities somewhere else in my home. Before I tried this strategy, I was really white-knuckling it through my wakeful periods with nothing to occupy my attention. I tried breathing exercises and mindfulness (noticing, but not engaging with, my thoughts), but neither seemed to work. And since I’d given up pharmaceutical sleep aids and smartphone use, it was a bit of a horrorshow. The good news is, with my new sleep program I’m now sleeping through most nights, and I’m allowed a 1-hour nap in the afternoon, which helps if I do wake up in the middle of the night, and am awake for a while. The early days of the new routine were incredibly unpleasant to live through, but I’m really satisfied with the results. More on that next time. This was my fourth duathlon and first international distance race (10k run – 40k bike – 5k run) of the 2016 season. I was very active in duathlons from 2008 through 2013, including competing in three national and two world age-group championships. In the time since then, I have been dealing with injuries (a concussion and plantar fasciitis in both feet) as well as life upheaval and menopause. When I returned to training, I had lingering symptoms and was carrying an extra 20 lbs which is very detrimental to racing speed, especially running. My main goal for 2016 has been qualifying for the 2017 world championships. The qualifying race would be held on August 24th, at the international distance. This distance has typically taken me 2hrs30 to 2hrs45, depending on the course. I knew I would feel more confident going into my goal race, if I completed one prior. The Bracebridge race was only 17 days before August 24th, but I decided to do it and treat it as training. I also did a full week of training leading up to the race and did not allow myself a taper. This was going to be a test of endurance, not of speed. I’ve used this strategy before and it takes a good deal of humility, especially when you know your less-than-stellar results are going to be posted online for everyone to see. This was my first time doing the Bracebridge course. I have done the hilly Multisport Canada (MSC) Gravenhurst and Huronia (Midland) races in the past, and was told that the run course would be flatter than those, but the bike course would be harder due to longer hills. I debated changing the gearing on my bike but in discussion with others, opted to stay with my existing gears. I drove up to Bracebridge the night before and was able to get to the race site with plenty of time in the morning. I stick primarily to the MSC series as their races are very consistent in their organization. I quickly had my bike racked and transition area set up, including a second pair of running shoes. With my plantar fasciitis still bothering me a bit, I opted to do Run 1 in my cushioned training shoes and Run 2 in my racing flats. For my warm-up, I did about 5 minutes of easy jogging, in contrast to the normal 20+ minutes I would have done in the past. I knew I was going to do Run 1 at an easy pace, so I didn’t need a long warm-up. As well, I didn’t feel that I had any endurance to spare! My legs felt good with no hamstring or calf tightness. My nutrition was good, my stomach was settled and all the bathroom stuff got taken care of in time. I have had some stomach upset (runner ischemia) in the past so I have now started taking two Imodium after my final bathroom visit at races, and this is working well. Run 1 (goal 6:00/km, actual 6:09/km) – We started out on grass and headed up a small hill. Within the first 10 metres, I was in last place of all 24 participants. At first, I was very disheartened about this, but then I realized that it took all the pressure off of me as there would be no one for me to try to stay ahead of. I always view the first 10km of an international distance duathlon as a mental challenge. I try not to think about the fact that I am only in the first 10km of a total of 55km that I need to cover. I need to go hard, but not so hard that I am exhausted for the bike. When I am fit, I usually aim for 1-2 minutes slower in total than a stand-alone 10km race. That would put me at about a 6:00/km pace at my current level of fitness. The run was an out and back on a Muskoka road with cottages on one side and a river on the other. It was partially shaded, which helped as the day was already quite warm at 8:30am. My feet were tingly within the first couple of kms, due to lingering plantar fasciitis symptoms, but I knew this would improve as I carried on. By about the 3.5km mark, I started to see the fast men coming back towards me, followed by the women around the 4km mark. Lots of encouraging words back and forth, as many of us in the duathlon world know each other. There was a young woman volunteer on a mountain bike playing “sweep” who was following me as I was in last place…. That’s a first for me, but she was also encouraging. I plodded on, keeping my pace just below 6:00/km, but I faded in the last 3km and finished up a bit over that. Bike (goal 24km/h, actual 24.8km/h) – a fairly quick transition, then out on the bike course. It started out fairly flat but at km4, there was a very big uphill. I had to go into my easiest gear, and stand up, but I got up it fine. After that, there were quite a few more ups and downs, but none as big as that one. In retrospect, staying with my existing gearing was the right decision. Mentally, this one-loop bike course went on forever. I had done a number of solo 50-60km rides in training, but my total bike mileage year-to-date is very low and I had not done any 40km time trials as I had in past years. I just kept telling myself to ignore my speed and get through it. The second half of the course had more of a tailwind than the first half, which was motivating. Finally it was over and I was back into transition. Run 2 (goal 6:30/km, actual 6:30/km) – Ideally, I try to keep my second run to within 15-20 seconds per km of my first run. Any closer than that means I haven’t worked hard enough in my first run. Any slower than that means I have gone way too hard on the bike portion. I headed out of transition feeling my normal amount of quad pain after a 40km bike ride, but was pleasantly surprised to find that my legs were ok after the first km. I got into a good running rhythm and started to feel very happy, knowing that I was going to finish the full distance in a solid manner. I headed in towards the finish area and became quite emotional, realizing that I had met my goal of getting back up to the level of fitness where I could finish this race distance. I was thinking of all the life stuff that I had dealt with since the last time I did a full duathlon, especially the sudden cancer death of my dear friend Shirley last summer. I was very down for many months and for a while I thought that I would never compete again, let alone at this distance. Shirley’s cancer was completely unexpected and it threatened my previous assumption of my own health. The feeling of relief and gratitude when I crossed the finish line, was suddenly overwhelming. It was pretty easy to collate my results….. 2nd of 2 in my age group, 8th of 8 women, 24th of 24 overall, and 3hrs18 total time, my slowest for this distance by about 25 minutes. Last in every way and a personal worst time, but it just didn’t matter. What a relief to know that I had met my race goal of finishing this distance. Here are some random pics with my pal Shirley. Yes, she did 50 half marathons by the time she turned 50! She is very deeply missed. I lift weights in the gym with some frequency. But I don’t do it for aesthetic reasons. For me, it’s not about looks. 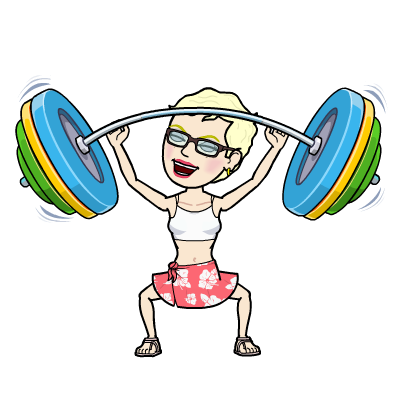 And though I read lots about the advantages of women doing strength training and maintaining muscle mass and bone density as we age, I don’t think much about that either. I love my strength though. This past weekend I was camping with bloggers and friends Susan, Cate, and Sarah (also with Susan’s mom, daughter, and dog). Here’s the four bloggers! As one of the few groups of women out there in the wild, I think we all gloried a bit in our collective strength. I loved being able to get my canoe on and off the roof of the car. I loved being able to lift the heavy pack which contained tents, food, sleeping bags, clothes, etc. I loved being able to paddle without getting tired. Being strong allows you to do super cool things, like canoe camping in Algonquin Park. But it wasn’t all about movement. Some of the time I hung out in the hammock and read a PhD thesis. Because that’s also what professors do on holiday! How about you? What do you like about being strong? What’s your favourite thing strength allows you to do? Rebecca’s RunKeeper half marathon training app sent an alert the other day that caught her, Anita, and me off guard: time to start training (apparently) for the Key West Half Marathon on January 17, 2017! That’s planning way, way ahead. We all signed up for this race back in June, with the warm glow of the Niagara Falls Women’s Half Marathon still fresh in our hearts. Of course, we’ll be blogging about it in January, but since we’re training, or thinking about training, I thought it wouldn’t be a bad idea to post about what the January event means to each of us five months ahead of time. My attitude towards this race – my second half-marathon – is really completely different than it was the first time around. I already know that Tracy, Anita and I make a great mutual-support-and-encouragement team. Last time I was worried about finishing and surviving, and I was excited but afraid. This time I am not afraid, and I have time goals rather than just survival goals. I won’t be crushed if I don’t make them and I am not trying to come anywhere close to winning or anything, but it’s just a very different perspective to be thinking about how to shave minutes rather than how to not be carted off by medics. Among other tweaks, this time I will try to avoid losing minutes in the middle to an embarrassing and annoying bathroom break, so maybe I won’t take the carbo-loading the night before quite so far. The only part I am dreading is all those long runs in the last few weeks of training, when I will have to choose between the treadmill and midwinter temperatures. This time around I am using the race as an excuse for a vacation: I am bringing my sweetie, who will be running the 5K while we do the half, and I suffer from intense and debilitating seasonal affective disorder so the idea of a Florida getaway in January is very exciting. I am in this for the ocean and the sun and the seafood and the company as much as for the race (which won’t stop me from training obsessively, as I am wont to do!). I’m very excited to be doing my first fly-in destination race with friends! Knowing that it’s in the books will motivate me through the fall. I might even have to buy a cute outfit or two to make me run faster. I confess that one of my motives for signing up is that Renald will be in Florida for at least a month or two this winter, so the Key West Half Marathon presents an opportunity for me either to extend my Christmas break into mid-January or to fly back less than two weeks after I get home. Either way, it’s more time on the boat with Renald, who plans to sail down to Key West for the race. I also get to see Rebecca, who is a great motivator and, living in D.C, a friend who I don’t get to see much. Key West is the furthest afield Anita and I have gone together. We’re racking up quite a travel history more locally — Toronto, Hamilton, twice to Kincardine, twice to Niagara — and we know we run well together since we train with each other almost weekly. Finally, I’m a big believer in having something to train for. Winter is coming. And it’s easy to get complacent. With a half in January, that might get enough momentum going for me to commit, once again, to the Around the Bay 30K at the end of March. I did it once before (it was kind of brutal but I’ve got more experience now…). And maybe I can talk Anita and Julie into doing it too. More than half of the flat, out-and-back course runs on the Florida Keys Overseas Heritage Trail, directly overlooking the aqua blue Atlantic Ocean. In pure Key West fashion, packet pickup and the race expo take place inside the Half Shell Raw Bar, one of the island’s most popular seafood spots. You’ll want to stop back in after the race–it’s within walking distance of the finish–to celebrate with a plate of chilled oysters and a cocktail (or two). And who doesn’t love the buzz in the air when a race has around 4000 finishers? If you’re planning to do Key West or weren’t planning to but feel convinced, let us know! This past weekend, I qualified and was able to compete for the first time in the Master’s Heavy Events World Championships held in Amherst, New York. We had 8 events over 4 days, including 2 stone throws (similar to shotput), two hammer throws (similar to Olympic hammers, but we stay stationary), two weights for distance (similar to discuss), caber, sheaf and weight over bar. I went in with the attitude that I wasn’t there to win. 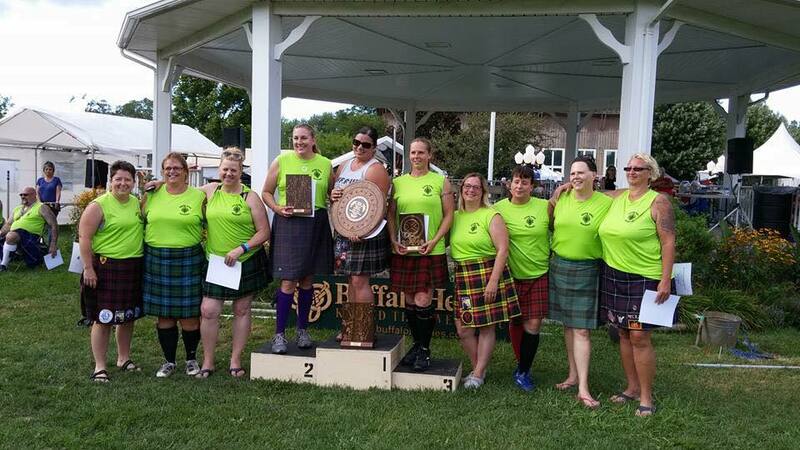 I was competing against several women who’ve been throwing for a lot longer than I and who started this sport with some form of athletic background. This isn’t me making excuses or being defeatist, this is about being realistic about my capabilities and standings. My goal was to enjoy the experience, throw well and try to get some personal bests. The weekend exceeded all my expectations. Friday night started with introductions and a speech by one of the Heavies veterans welcoming back this great big dysfunctional family. This is what the games are all about. I throw with many of the same women in the games in Canada, some of whom I practice with on a regular basis. Whenever we see each other, we have big hugs for each other and catch up while we throw. In Canada, we call this group our summer family, though many of these friendships continue year round. Thrower spouses/partners are part of the family too, and reconnecting with them created as much joy as seeing my throwing friends again. Sunday ended with new Facebook connections and promises to attend other games. On the field with nearly 100 competitors from ages 40 to over 70, the support between competing athletes is the same world-wide as it is for us at home. Coaching each other to improve, even if it means you have to work harder to stay ahead is the norm. We had spectators asking us questions while we waited for our next turn, and several times I heard them comment on the camaraderie between athletes. Many were there to win, but they wanted to do it fairly and with solid competition. World records were broken and everyone was excited to see it happen, regardless of whether they were direct competition or not. This was an amazing experience. Two and half days with these people, where we met on and off the field was such a high. There was a ton of laughter, ton of support, lots of hugs, wee bit of wine slushies and lots of selfies with new friends. I’m so glad my husband and I backed out of our sport retirement plans and decided to give it another few years. Next year’s competition is Iceland, and you can bet I’ll be working hard to get there. I saw this story in my social media news feed this week: Dad Strength. The reality is the incredible (and mysterious) strength that otherwise non-assuming dads seem to have. Wiry strength is as much a part of fatherhood as back-hair or yard work. While speed and reflexes can decline, dad strength can more than make up for it. Part of this is undoubtedly cunning and experience. Part of it is stubbornness, dammit. However, there is also a physiological basis for middle-aged strength — something rooted more deeply than a need to show the neighbour’s kid who’s boss. 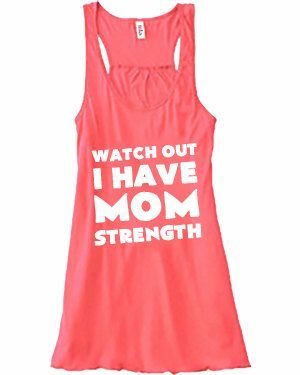 But like the dad bod before, I got to thinking about mom strength. Because that’s a thing too. In 1982, in Lawrenceville, Georgia, Tony Cavallo was repairing a 1964 Chevrolet Impala automobile from underneath. The vehicle was propped up with jacks, but it fell. Cavallo’s mother, Mrs. Angela Cavallo, lifted the car high enough and long enough for two neighbours to replace the jacks and pull Tony from beneath the car. In 2006, Ivujivik, Quebec resident Lydia Angiyou saved several children by fighting a polar bear until a local hunter shot it. So I think the thing being talked about here is Parent Strength. And then we can drop the “hysterical” modifier. This month I’ve been working in Sydney, Australia on a research project at the University of Sydney. This is my second trip here– I was on sabbatical last fall (spring Down Under) and wrote here about the transition from life with a car (and bikes, of course) to life without a a car. I experienced sore feet and shoulders at first, courtesy of all the walking and bag carrying. But soon it became a real pleasure– it was a way to slow myself down, look at what was around me, notice how I was feeling, and really interact with the people and sights of this new place. This time, I’m here in a different season (late winter in Sydney, which is pretty mild to this Bostonian). I’m also busier, working with students and other researchers on this project, giving two talks, and of course socializing with my Sydney friends (old and new). I split my time between two different centers on campus, so there’s lots of scurrying back and forth. With chillier weather, university activity in full swing, and a lot of work to do in a short time, I haven’t taken any side trips out of town or gone swimming or kayaking or diving. They’re definitely on the agenda when I return in better weather, but for now Sydney for me is about work and after-work play in the city. But being on foot, taking public transport (with the occasional lift from friends– thanks y’all!) and some bike riding (which I wrote about here— thanks again, Janine!) has reminded me (yet again) how great it is to be able to function without a car. Here are some pictures to show you a few of the unexpected benefits of getting out of the driver’s seat. One evening, I caught the wrong bus, and got dropped off at a waterfront park. No problem– I walked through the park and on to my place, stopping briefly to admire the Anzac bridge and the glittering lights of the foreshore. Gorgeous. Even in the winter, Australian flowers are intent on poking their heads out and blooming. These beauties adorned my walk to the office– a 25 minute journey, mostly through a park. These are buildings at Sydney and Macquarie Universities. Walking to and from places makes me see both time and space a little differently– it slows my pace of life down and opens up my perspective. I enjoy architecture and geometric forms, and capturing images like these (with my phone) is fun. I saved the best for last. Cities with ferries are undoubtedly better than cities with no ferries. Here they are an important part of the public transport system, and this one took me to the light rail line I use for going into and out of downtown Sydney. This was taken on a late winter afternoon, in low light. This week I return home to Boston, to start teaching for the fall semester. My life will be more car-dependent, but once again I got a reminder (and more motivation) for staying out of the driver’s seat as much as I can. What about you, readers? What are some of the pleasures of public transportation for you?